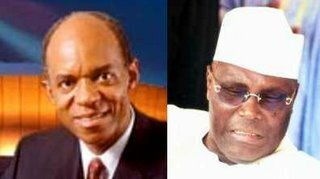 In late May, I did a post about the Jefferson scandal – where money was discovered in a freezer – that was allegedly “earmarked” for the Vice President of Nigeria, Abubakar Atiku. I also wondered in the post, whether or not, the EFCC (Economic Financial Crimes Commission) would investigate further. Apparently, they did with assistance from the FBI. Acting on information provided by the FBI, Nigerian fraud investigators have now indicted Vice President Atiku Abubakar on 14 counts of corruption, involving tens of millions of dollars allegedly diverted from government accounts. According to Nuhu Ribadu, head of a new anti-corruption squad created by Nigeria’s president, $23 million of the diverted money is still missing. 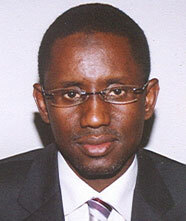 Ribadu said $6.7 million of the missing funds has been traced to a U.S. company tied to Congressman Jefferson’s family. Link to Brian Ross story, here. Meanwhile both Congressman Jefferson and Vice-President Atiku still deny everything and Mr. Jefferson — who is running for re-election — has yet to be charged. According to the original AP story, two of Jefferson’s associates have been found guilty of bribery and admitted giving Jefferson other money to bribe African officials. The story also reports some pretty “damning” statements Jefferson made while being taped without his knowledge. I wonder if and when he (Jefferson) will be charged – $90,000.00 in a freezer is a little hard to explain – even if it is a drop in the bucket when compared to the 6.7 million alleged by the Nigerian investigation. The EFCC site has a lot of coverage (from a Nigerian perspective) on Mr. Atiku’s woes. Of note – Jefferson has lost the support of the Louisiana Democratic Party, which seems a wise move on their part. Nigerian fraud is legendary on the Internet – and the EFCC has had a lot of success in “taking a bite” out of it. Since most fraud today has a global reach, some might argue the EFCC is stopping people from being victimized, worldwide. You can view Mr. Ribadhu’s biography, here. No user commented in " More and More – The Jefferson Scandal Does Appear to be a Nigerian Fraud "